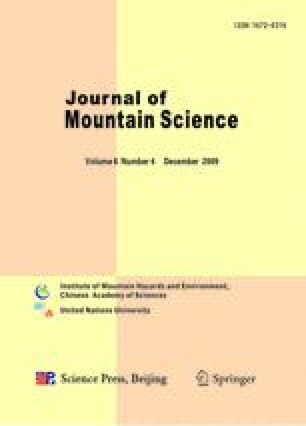 Communities in developing country mountain areas, in part due to their remoteness, find themselves excluded from social, political and economic systems; and excluded from access to resources. This paper aims to study the impact of information and communication technologies (ICTs) on remoteness and exclusion. It utilises two models — the resource movement framework, and the “information chain” — to analyse a telecentre in one district of mountainous Huancavelica, Peru’s poorest region, set in the high Andes. It finds ICTs enabling new and positive resource flows for the two key user groups: teenaged school students and young farmers. These help to maintain social networks. They also support information searches that have improved agricultural practice where other information chain resources have been available. But non-use and ineffective use of the telecentre are found where information chain resources are lacking. ICTs have some impacts on intangible elements of remoteness. In this particular example, they also offer access to some previously-excluded resources. But they have not really addressed the systematic exclusions faced by mountain communities. And they so far appear to be a technology of inequality; favouring those residents who begin with better resource endowments. The paper concludes by offering some recommendations for mountain ICT project practice.